Just when we thought that buying “Organic” was safe, we run headlong into the deliberate poisoning of our organic food supply by the FDA in collusion with none other than the folks who brought us Aspartame. NutraSweet, a former Monsanto asset, has developed a new and improved version of this neurotoxin called Neotame. But surely, this product would be labeled! NOT SO!!! For this little gem, no labeling required. And it is even included in USDA Certified Organic food. USDA Certified [made with/contains] Organic food items. Let me make this perfectly clear. Neotame does not have to be included in ANY list of ingredients! So, if you buy processed food, whether USDA Certified [made with/contains] Organic or not, that food might contain Neotame because it is cost-effective, and since no one knows it is there, there is no public backlash similar to what is happening with Aspartame. A win/win situation! But that’s not all. Just love chowing down on that delicious steak? Well, that cow most likely will have been fed with feed containing…..you guessed it…..Neotame! A product called “Sweetos,” which is actually composed of Neotame, is being substituted for molasses in animal feed. Why would we feed animals food that is so distasteful that we would have to mask the unpleasantness with an artificial sweetener? Most animals will not eat spoiled, rancid feed. They know by the smell that it is not good. Enter Sweetos (Neotame). Just cover up the unpleasant tastes and odors, and you can feed them anything you want to, courtesy of the oh, so considerate folks at Monsanto and company. 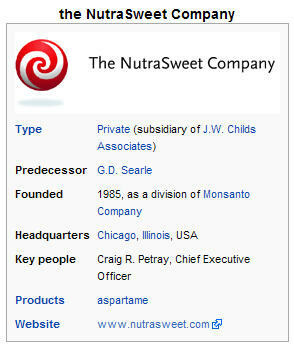 But of course, Monsanto is no longer associated with NutraSweet. In the time-honored tradition of covering its assets, Monsanto has a proven track record of spinning off controversial portions of its company that generate too much scrutiny, such as it did with the Solutia solution. So what is the solution to this problem? Buy local organic food, know your local farmer, and don’t buy processed foods whether they are labeled “Organic” or not. This requires a drastic change in lifestyle that most will not want to make. For those who choose to ride the wheel of chance by succumbing to this genocidal adulteration of our food supply by those who stand to profit from our sickness and early demise, my only comment is….it is your choice. 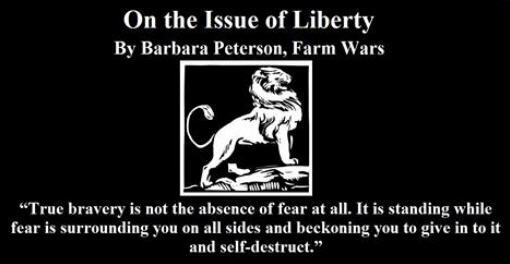 But for those of us who have decided to fight this battle one bite at a time by hitting these sociopaths in the pocketbook where it hurts……viva la revolucion! For Baldguy: Try organic non homogenized milk that has been pasteurized. It can be very digestible. Shoestring budgets are my specialty. For one thing, it does take more time to prepare things yourself, but if you take a few hours in a week to prepare, then it is possible to eat healthy and not break the bank. Two of us lived on less than 100 dollars per month for food for 2 years. I learned to make almost everything from scratch because it is less expensive to buy the raw ingredients and make processed food without additives yourself. Rice and beans are a complete protein, and can be seasoned with homegrown peppers, tomatoes, onion, garlic, and salt. I purchased a large freezer at the Salvation Army for 80 dollars, and store my garden veggies there for the winter. My next investment will be a large pressure canner. I don’t like eating anything that has ingredients in it that I don’t know anything about, or has ingredients with a list of side effects the length of my arm. That is not food! That is simply the preservation of food-like substances that mimic real food, yet have no significant nutritional value. I bake my own bread with whole wheat flour, peanut or grapeseed oil, eggs, yeast, salt, and sugar (raw cane seems best so far). If I want milk, I get fresh goat’s milk from the neighbor. I am currently negotiating for a good milking goat. Goat’s milk is soooo much better nutritionally than cow’s milk, but needs to be done right, or it can taste nasty. I also grow my own veggies in a backyard garden, fertilized with organic manure from my horses. If a local producer is not on the list, when you find one, let him/her know about this online service for distributing fresh food. Just curious on what your thoughts are on products such as MSG and BHT/BHA. I suffer from IBS. As long as I Identify the triggers, life is good. Found years ago that MSG was one, and in the last 2 years that BHT was another. I try my best to avoid these, and read the lables of everything I buy. What gets me is the use of BHT in cereals, and mostly kids cereals, to prolong the shelf life, or as the companies like to say, to help protect the flavor and precent rancidity. The samething can be done with a vitamin E derivative, but guess thats not cost effective. Its maddening the amount of chemical additives that are put in our foods to save costs/ expand profits. Fast food is another industry I avoid, and its harder to find the ingredients of those items, as its not on the wrapper, you have to really go out if your way and really dont know if that indipendant location doesnt make tweaks. Another courious thing for me is Milk. I cant drink it for whatever reason. One of the first triggers I identified. I have no problem with dairy products, just milk, so its not a lactose issue. I have tried organic milk and the effects were diminished initially, but slowly grew. Not sure whats in there, but definitly not something good. I have 2 children under two, and try my best to avoid non natural ingredients. I dont want my children to ever eat fast food, to avoid hot dogs and other items that they load with preservatives, fillers, flavor enhancers, shelf life extenders or whatever. But in this economy, its very difficult to go strictly organic. So we try to go as healthy as we can afford both financially and timewise. At the very least, we only give them organic milk, and dont use processed cheeses. How do you go organic on a shoestring budget when you both work? 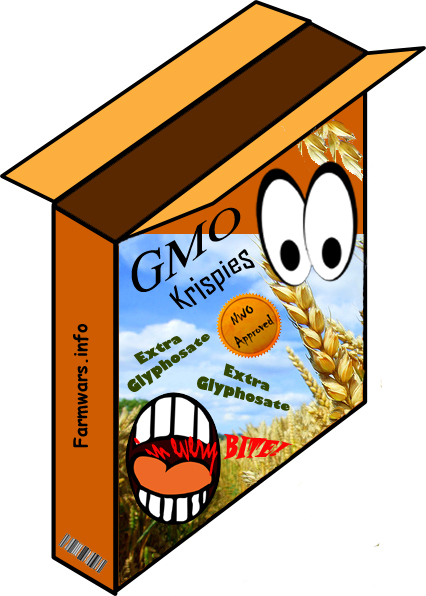 Going back to gardening and growing virtually all we consume will be the only safe way around this. 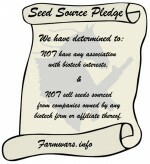 Monsanto’s spin-off company will no doubt fight publication of this ingredient on labels tooth and nail. My husband who runs studies for doctors on medical equipment, must meet certain critical criteria before approval by the FDA. I continue to be astounded at the lack of openness by the FDA and their total lack of concern for our health in matters of food supply. Apparently they do cater to big Pharma and some big corporations. Hmmmm…… those kickbacks must be something. My U.S. rep is new and sounds interested. More will have to get onboard. Tell everyone you see in grocery stores. I’ve found many will listen. I hope they will contact reps but probably not. Everyone here should. If enough people complain, someone will listen. Many of us went after Lays about MSG. They have removed it from most if not all chips. We started with the BBQ chips: “We will buy “brand x” (don’t remember what we found) until you remove it from your chips. Its is no longer in their BBQ chips. We need this labeled. Then we ALL need to call companies with a competitive brand not containing it. Companies can’t afford to lose market share now. We can’t afford to hope “someone else” will fix this. I am working on a site about cellulite. I am a firm believer that sugar is one of the reason why women get cellulite. Anyway, I am trying to avoid sugar and trying other alternatives. Can you believe that I just recently bought a box of sugar and sweetener mix, sold by a “health guru” guy and the sweetener is listed and named Neotame!! OMG! No wonder why I felt awful the last couple of days. Thanks God finally I came online to search what the heck “neotame” was. What can you do about this?? It is sold here in the EU and it is approved, it is listed. Thousands of people are buying this…I have headaches, I have no energy. And this guy has over 100K follower on facebook. Unbelievable. I personally am infuriated by the poisoning of our food supply, and now the entire organic labeled food supply has been compromised and rendered uneatable. People are dying and they don’t even know it. We have changed: we grow our own food and what we can’t grow, we don’t eat. Its as easy as that. Some of our friends think our care about not eating poisons have turned us into some sort of an environmental religious cult, but the last laugh will be on them! That day is coming. My reply is a link to a followup article that I wrote with all documentation. The link is at the bottom of the page. What is your response to this article that says Neotame is NOT allowed in organic products per the CFR? I don’t eat any processed foods anyway, but as a fellow podcaster & blogger on related topics, I would like to hear your response. Yet another ingredient that your grandmother would not identify as food. Read the label. Buy what you recognize as good food. Don’t trust the scientists. Don’t trust the nutritionists. And don’t trust the government agencies. 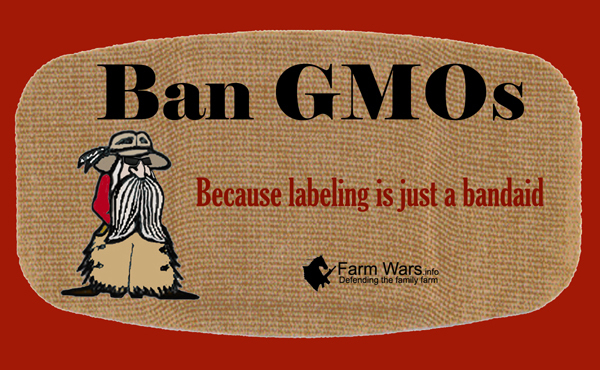 Trusting the government to sort out what should or shouldn’t be labeled organic is a fool’s game. I say we stick to growing our own food. I’ve been writing about the e vils of Corporatism for almost 3 years. I was a board operator on the radio programs “A Closer Look with Michael Corbin” and “To Free America with Randy Yarbrough”. I publish at http://www.thoughts.com/Georgesblog/blog . Colleen, it’s nice to see someone who is catching on. The whole idea of a derogatory view of “conspiracy theorists” is a deliberately manufactured one. For those of Us who when contemplating life wonder about the probabilities of any information being true and keeping track of what We find that would lead to a very likely explanation of what We see around us, have to conclude something other is going on around here than the Disney Consumer life leads One to believe. I hang out at abovetopsecret.com, and my name is Amaterasu. It’s really a shame. What can be done? 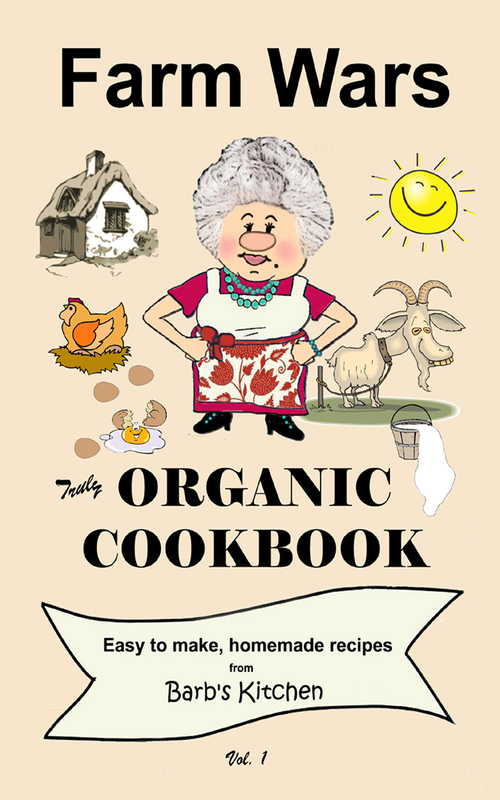 It is easy to say that we all should eat only local organic food and no processed foods. But it seems almost impossible unless you are that organic farmer. I try to have my family eat as much organic, natural food as possible, but unfortunatley, cost, availability and convenience are also factors. And now, to discover a downfall of packaged organic foods (our assumed healthier alternative to commercial foods), it is extremely disheartening. FDA and USDA need to make people’s health top priority, and legislation needs to be much more stringent than it is. Will this happen, or will things continue to go downhill? Artifical sweeteners can mimic the signs of MS. Tingling in the finger tips. At Xmas I bought a box of diet soft drink cos daughter is diabetic. Started to suffer bad, heavy head aches. Stopped drinking the artifical soft drink and pain is gone. That is shocking – looks like 100% non-processed food for my family! I assume we would be safe with grass fed beef, which is the only way to go in my opinion anyway. 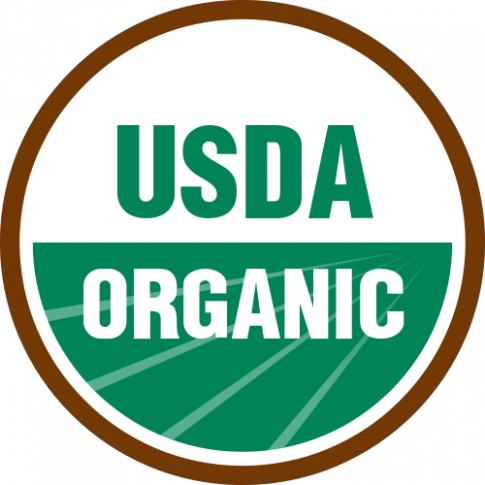 What about other organic certification organizations, who often have higher standards than the USDA? Have any of them approved or denounced Neotame? Any info on this would be greatly appreciated. Very scary stuff. Trying to stay informed is hard but necessary to attempt. ug. (h) Fructooligosaccharides (CAS # 308066–66–2). (j) Gelatin (CAS # 9000–70–8). (k) Gums—water extracted only (Arabic; Guar; Locust bean; and Carob bean). (l) Hops ( Humulus luplus ). Notice that the list starts with “a” and runs through the alphabet. Sherry is number 2 under “g” fortified cooking wines, indicating the type of wine. Hops is “l” on the list, and not in the wine category. Hi Barbara…I have a correction for you. If you look carefully at the national list that you’re talking about when you’re talking about hops, you’ll notice that non-organic hops can be used only when a) organic hops are unavailable, and b) in fortified cooking sherry. I would suggest writing a retraction or making a revision to your article so that misinformation is not further spread.